I absolutely LOVE the Atlantic Inn on Block Island. It's one of my favorite venues. The speed of the wedding is just what I like. No one running around, no one screaming we have to hurry. No driving around from location to location. Its all set by the bride and grooms speed. When Melissa and Brian contacted me to shoot their wedding, I couldn't wait. The details that Melissa put in were to die for. It didn't hurt that she was absolutely stunning in her Priscilla of Boston Dress. She also had the cutest pair of Jimmy Choo Shoes I had ever seen. 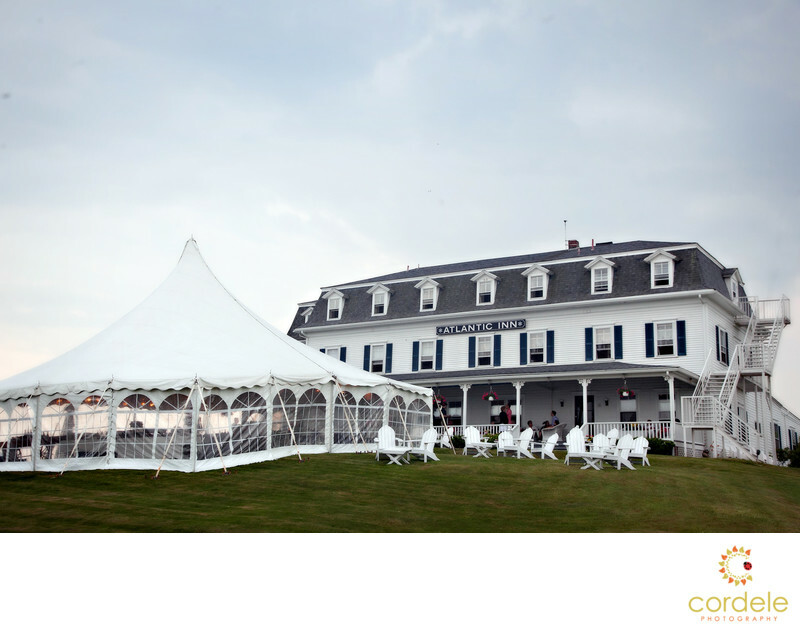 The Atlantic Inn is up on a hill on Block Island and it overlooks the entire town. You can see the ocean and the farm down the hill. There are endless places to shoot and you can't beat the view! We were lucky enough to have so much time on the Island we started off early in the afternoon alone and then ran around the Island getting amazing shots. Some of the photos the couple were not so sure of, but they loved them after they got their photos. We were really lucky that the weather really was on our side. It wasn't too hot, or too cold. I was also lucky enough to be able to bring my little one to go to the Beach. When I shot this wedding it was a bit of a challenge because i was 6 months pregnant! It did not slow me down and it was fun to show the couple the little stow away at their wedding a few months later!